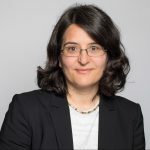 Gülay Caglar is Professor for Gender and Diversity at the Otto-Suhr-Institute of Political Science at Freie Universität Berlin. Caglar studied political science and economics at the Goethe-Universität in Frankfurt and at the University of Swansea. She received her PhD in political science in 2007 from the University of Kassel, where she also worked as a research associate. From 2007-2016 she held a postdoc-position at Humboldt-Universität zu Berlin. Her research interests include Critical Food Studies, Feminist International Political Economy, Transnational Feminisms and International Governance. In her current research she investigates how shifts in gendered food practices (production, consumption, food preparation) and food activism affect policy priorities in international food governance. She co-edited the book Feminist Strategies in International Governancewith Elisabeth Prügl and Susanne Zwingel (Routledge 2013).